Markis McDuffie had 24 points including three 3-pointers in the final six minutes as Wichita State held on to defeat Appalachian State 82-76 at the Charleston Classic on Friday. Ronshad Shabazz missed Three Point Jumper. Justin Forrest made Three Point Jumper. Assisted by Hunter Seacat. Breki Gylfason missed Three Point Jumper. Breki Gylfason made Three Point Jumper. Assisted by Ronshad Shabazz. 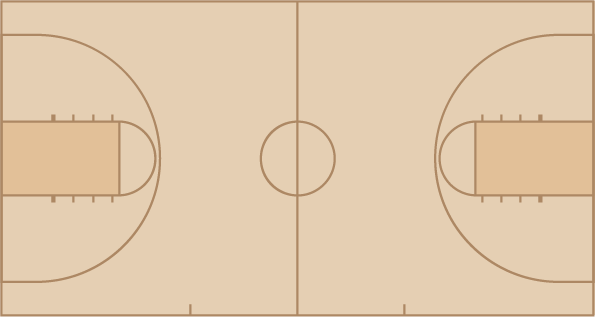 Breki Gylfason made Three Point Jumper. Assisted by O'Showen Williams. Ronshad Shabazz made Three Point Jumper. Assisted by Hunter Seacat. Justin Forrest made Three Point Jumper. Assisted by Ronshad Shabazz. Adrian Delph missed Three Point Jumper. Tyrell Johnson made Three Point Jumper. Assisted by Justin Forrest. Justin Forrest made Three Point Jumper. Assisted by Tyrell Johnson. Hunter Seacat made Layup. Assisted by Isaac Johnson. Tyrell Johnson made Three Point Jumper. Assisted by Isaac Johnson. Ronshad Shabazz made Three Point Jumper. Assisted by Justin Forrest. Hunter Seacat made Layup. Assisted by Tyrell Johnson. Hunter Seacat made Layup. Assisted by Ronshad Shabazz. O'Showen Williams missed Three Point Jumper. Justin Forrest missed Three Point Jumper. Hunter Seacat made Jumper. Assisted by O'Showen Williams. Ronshad Shabazz made Three Point Jumper. Jaime Echenique made Three Point Jumper. Assisted by Jamarius Burton. Markis McDuffie made Jumper. Assisted by Jaime Echenique. Morris Udeze made Two Point Tip Shot. Morris Udeze made Layup. Assisted by Jamarius Burton. Erik Stevenson made Layup. Assisted by Jaime Echenique. Morris Udeze made Layup. Assisted by Samajae Haynes-Jones. Markis McDuffie made Dunk. Assisted by Jaime Echenique. Markis McDuffie made Three Point Jumper. Assisted by Morris Udeze. Markis McDuffie made Layup. Assisted by Erik Stevenson. Samajae Haynes-Jones made Layup. Assisted by Erik Stevenson.